Wind Turbine Gear Oil Market to Double. The global wind turbine gear oil market is forecast to grow to 41.000 metric tons by 2020 compared to an expected 20.600 tons in 2014. In a presentation at the ICISAfrican Base Oils & Lubricants Conference in Cape Town in November, Evonik’s Franco Camera noted that of the total 12.000 tons would be factory fill oils and 29.100 tons (or more than 70 percent) would be service fill oils. “Service fill will be a good opportunity for smaller lubricant companies to enter the market,” Camera said. Wind turbine installations saw an exponential capacity increase between 2004 and 2009. “However growth has slowed since then because of the economic slowdown,” Camera said. In 2013, 35 GigaWatts of capacity was added, mostly in the United States, compared to 44 GW in 2012. 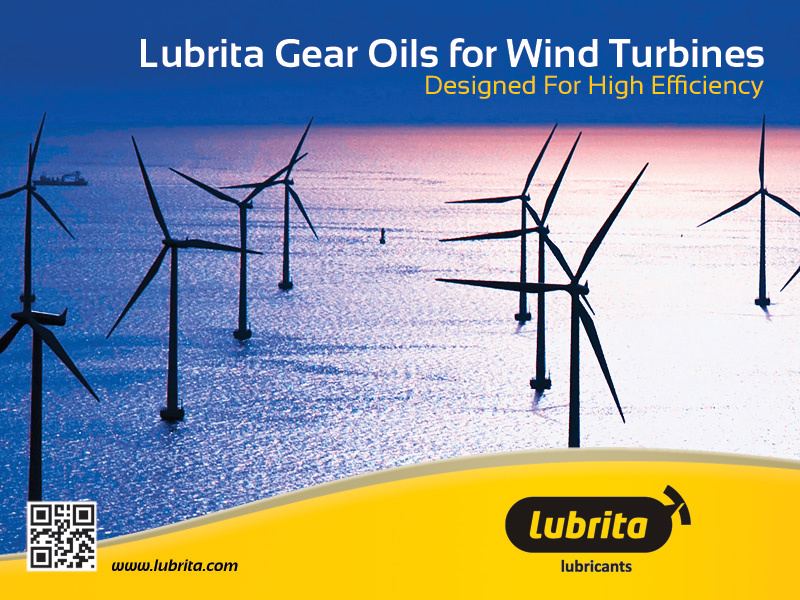 Lubrita Industrial Gear Oils Designed For High Efficiency.